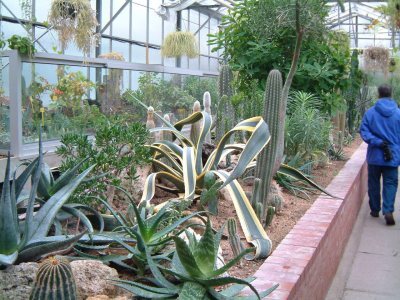 Hydroculture is an unlikely candidate for the growing and care of this large group of xerophytes (plants that have developed water storage structures for times of drought). But with care and patience large specimen Euphorbia, like the ones shown here, Cacti, Agave and Crassula in it's many forms, plus numerous others can be grown. If colour is what you require, more Euphorbias in the guise E.trigona ruby and E.milii are perfect. Succulents by their very nature are generally tough cookies, withstanding a fair amount of neglect... In fact during our darkest months forgetting to water these plants is a bonus. Alongside temperature, correct watering is the very key to keeping them healthy. Growing succulents using hydroculture can be very successful because the growing system gives good control over watering - the use of a water meter and growing in leca (porous clay beads which allow excellent root aeration) reduce the chances of root damage. 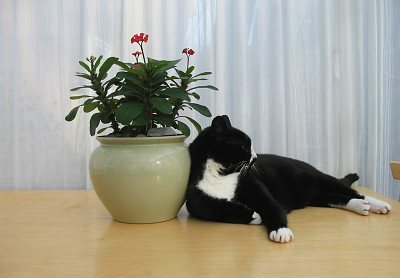 Combined with small amounts of carefully balanced liquid feed ensures good all round plant health.